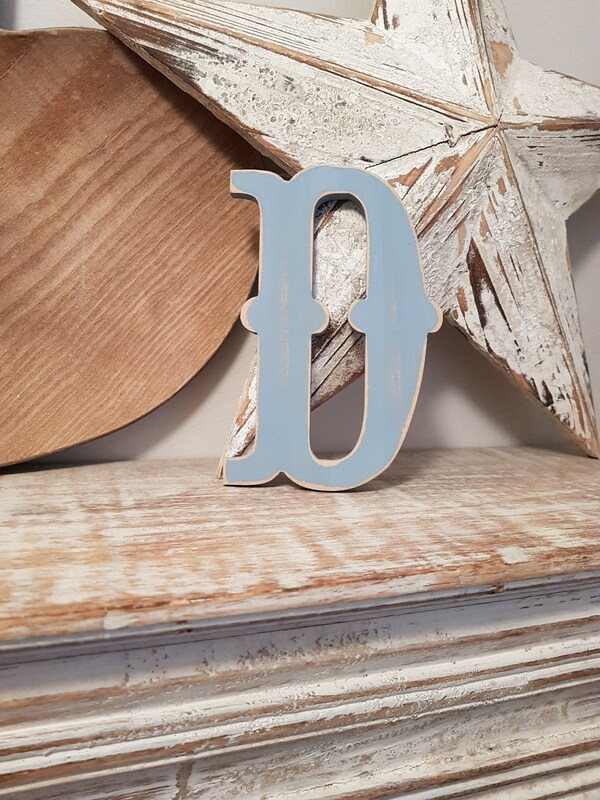 Fantastic addition to your home - these letters are fabulous statement piece and bring your decor bang up to date! 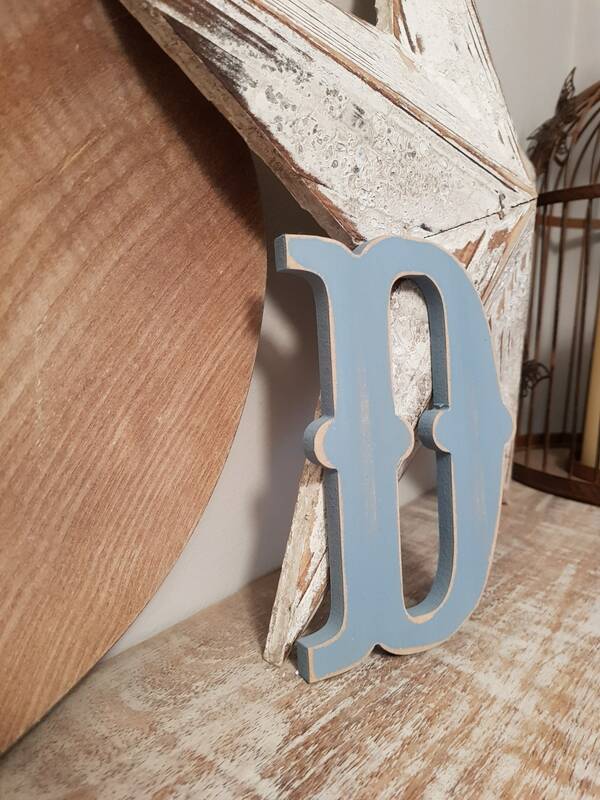 This one is painted blue and has a distressed patina. Approx 15cm high, 10cm wide and almost 0.9cm thick. 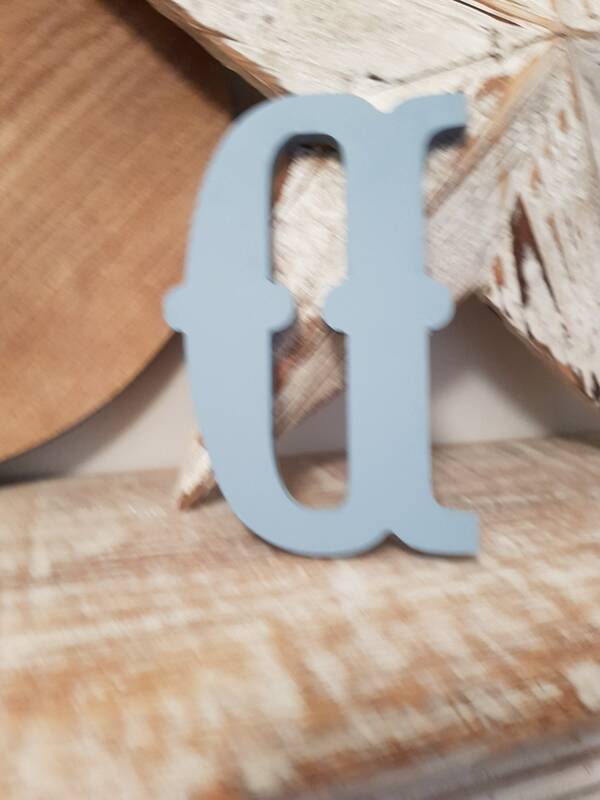 This letter can be rested on a shelf and propped against a wall. 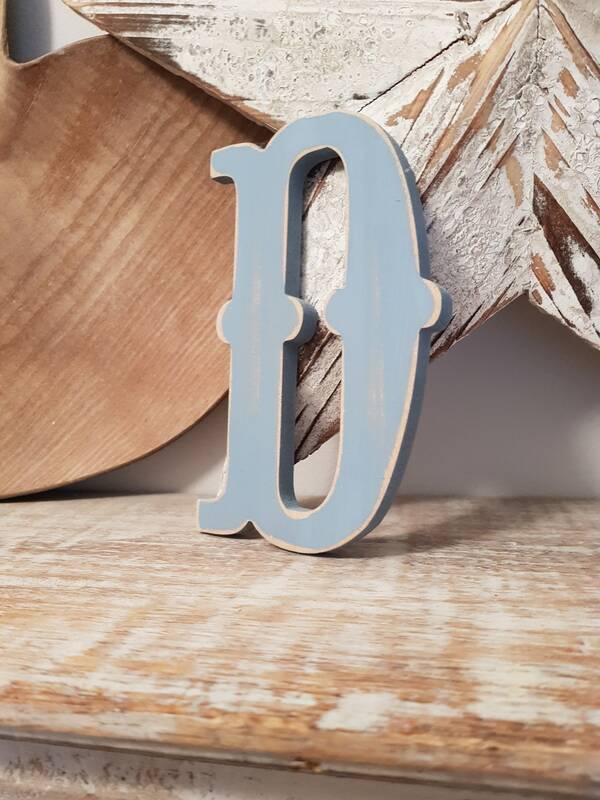 Please check my other listings for other letters in different fonts, styles, sizes and colours!